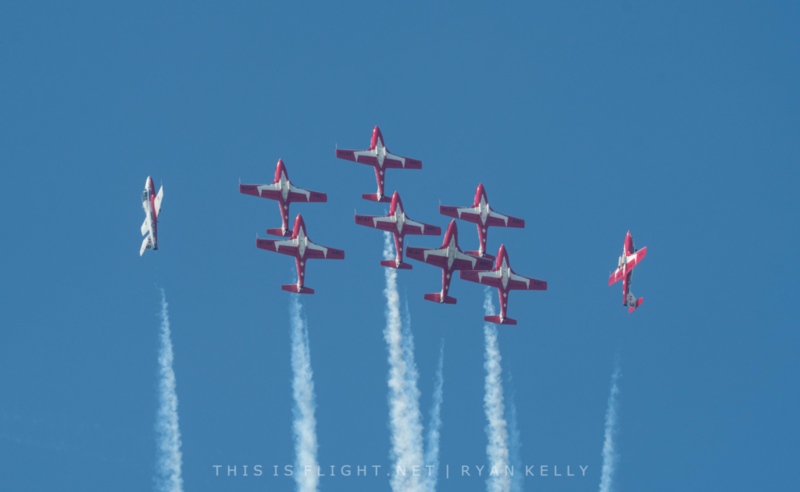 ATLANTA | The Canadian Forces Snowbirds will fly into Georgia this October to fly at the Atlanta Airshow. The attendance of the nine-ship aerobatic team, who fly the CT-114 Tutor, was confirmed by airshow organisers earlier today. They will perform alongside the USAF Thunderbirds, who joined the lineup last December. Two Snowbird jets arrived at Henry County Airport this afternoon to plan the team’s performance. The Atlanta Airshow will be held on the 12th-13th October 2019. This entry was posted in Airshow News America, Airshow News Military on February 4, 2019 by Adam L..